'Game of Thrones' Lady Stoneheart Cameo in 'Spoils of War'? You’d be hard-pressed to find a more satisfying Game of Thrones hour than Sunday’s dragon-roasted “Spoils of War,” but it seems yet another reunion may have taken place under our noses. 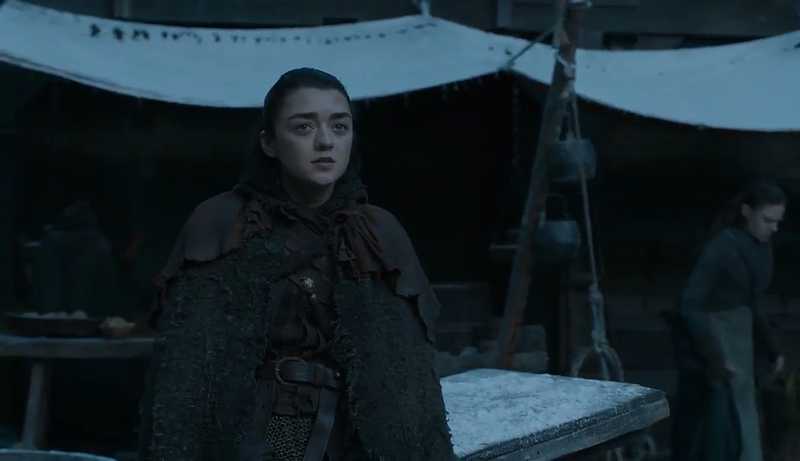 Some eagle-eyed fans spotted a certain stone-hearted figure lurking around Winterfell, and we must never stop theorizing about it. 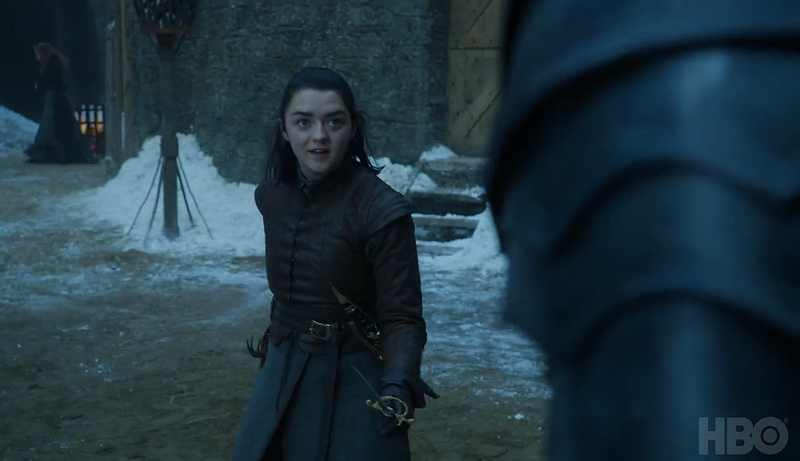 Keep in mind that Game of Thrones barely has time for its own story at this point, let alone long-discarded book plots, but if perhaps you thought that Lady Stoneheart theories had come to a close – think again. All of the living full-blooded Stark children have now reunited in Winterfell, and if Reddit is to be believed, the ghost of Catelyn Stark may be looking over them. The spirit of Catelyn Stark, watching over both her daughters and ensuring that Brienne kept her vow? Perhaps, but as the thread goes on to point out, similarly dressed-extras are visible in other scenes, as well as different angles of their conversation. Oh, and there’s also the fact that Game of Thrones has paid extras that walk in certain patterns during filming, so as not to draw attention to themselves. For good measure, we’ll acknowledge the fact that author George R.R. Martin believes HBO missed out on a good Lady Stoneheart adaptation, though producers say they’ve never genuinely considered featuring the character. We’ve plenty more to speculate and theorize about with the final episodes of Season 7, but what do you think? Vengeful spirit? Random extra? Intentional Three Men and a Baby homage? Oh, the possibilities.